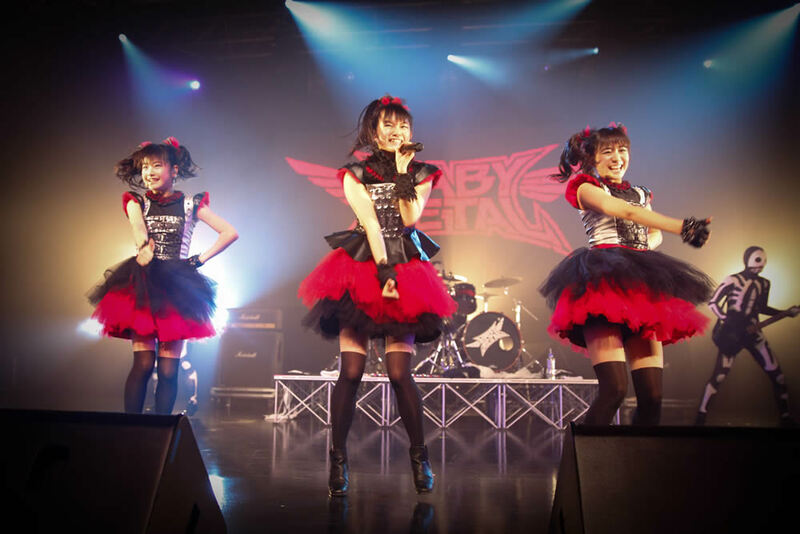 Japan’s youngest, and most lovable KAWAII METAL BAND, BABYMETAL held their first overseas solo live in Singapore at the *SCAPE Ground Theater, previously known as the Warehouse on the Saturday, 28th 2013. The band consist of 3 girls, SU-METAL, MOAMETAL and YUIMETAL, aged 15, 14, and 14 respectively, chosen by the FOX GOD, the god of METAL ROCK to head the metal resistances movement to revive heavy metal music from an industry swarmed with idol music! Kojacon Report had the chance to have an interview with them during their stay in Singapore. With no further wait, let’s get to know BABYMETAL closer! K : This is the very first overseas oneman live for BABYMETAL. How do you feel and what do you expect from this live? MOAMETAL : We’ve experienced performances in overseas before but this time is our first solo live concert so we are really excited about it. K : BABYMETAL members are young and cute, why do you choose metal genre for your music? YUIMETAL : BABYMETAL always follow the revelation of Fox God. The Fox God has chosen us as Metal savior to perform the metal songs. K : This month, Su-Metal celebrated birthday. What did you get from your members? SU-METAL : I had received presents from the members which made me really happy. But the most special thing was that a lot of fans has celebrated my birthday on the next day for my birthday concert. K : And for Christmas, what did you do and what did you get for Christmas present? MOAMETAL : I found some book next to my pillow which I received from Santa! On the christmas day itself I was flying overseas on the plane with members. K : When you visit Jakarta last time for AFA 2013, what do you think about fans in Jakarta? Do you have any amusing story when you visit Jakarta? YUIMETAL : There were lot of fans who have studied Japanese and talked to us. I was so touched to see them telling me ‘thank you (arigatou)’ in Japanese. SU-METAL : I love to sing, so music always makes me happy. YUIMETAL : I love the time when I’m performing live concert and enjoying the concert with the fans! MOAMETAL : I’m a big anime fan, so I love to watch my favorite anime shows. SU-METAL : I actually never cried watching movies, but recently I watched ‘Metalica through the never’ which was a really amusing movie that I even forgot to blink. My tears came out from not blinking, but I was really shocked and enjoyed the movie. YUIMETAL : When I watched ‘Toy Story 3′, I really felt that I have to treasure my own toys and cried. MOAMETAL : I cried the most when I watched ‘Hotaru no Haka (Grave of the fireflies). SU-METAL: I want to be invisible and go to lots of places to do some mischief. YUIMETAL : I like mermaids, so I want to have superpower that I can breathe under water. Formed in 2010, they debuted with their first music video “Doki☆Doki Morning” on YouTube. It took the world by surprise garnering reactions like “What did I just watch?! !” with their unimaginable combination of HEAVY METAL and KAWAII STYLE. 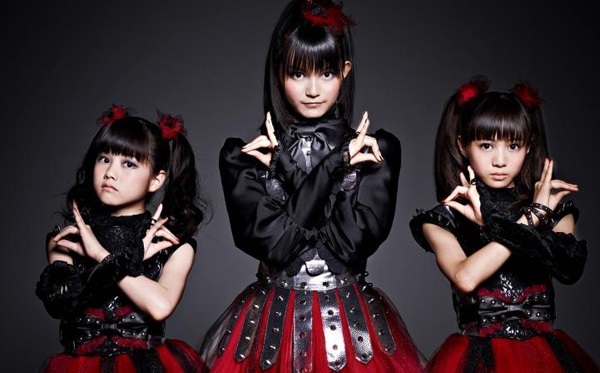 Through word of mouth, the video was viewed over 2 million times on various official YouTube Channels and it spread BABYMETAL’s name to all over the world, such as North America, South America, Europe, and Asia. Now, BABYMETAL have released 2 major singles, “Ijime, Dame, Zettai” and “Megitsune” both ranking in the top 10 of the Oricon Weekly Singles Chart. And their music is now gaining momentum with consecutive full house for their solo concerts in Japan, participation in major events like Summer Sonic 2013 and the Anime Festival Asia 2012 and a fast growing fan base! BABYMETAL’s Metal Resistance has only just begun! 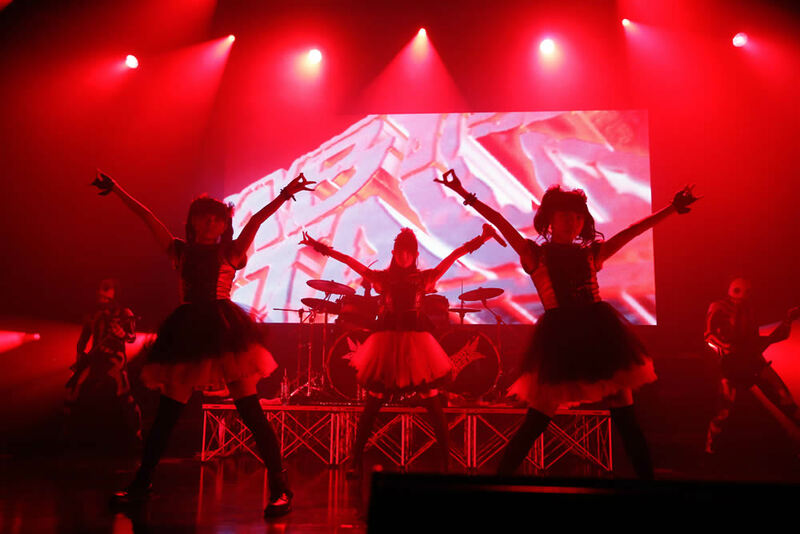 Recently BABYMETAL also announced that they will hold a 2-day live concert at Nippon Budokan on 1 March 2014 and 2 March 2014! Check here!